Think you’re ready to face a judge by yourself for a misdemeanor charge? Don’t take chances when it comes to your future—hire a criminal defense lawyer to handle your case. MY Law Office will be there for you when you’re facing criminal charges. Attorney Yang has extensive experience with criminal matters and can guide you through the legal process. He’ll compile evidence that can be used to reduce your charges or negotiate a plea deal. Attorney Yang will do everything possible to obtain the best possible outcome for your case. Schedule a free consultation by calling 608-556-7747. Facing a Criminal Charge in Madison, WI? 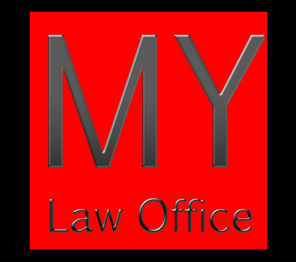 Discuss your legal issue with MY Law Office to see what they can do for your criminal law case. If you're heading to court for a misdemeanor charge in Madison, Wisconsin, you need to find an attorney you can rely on. Attorney Yang of MY Law Office is dedicated to providing personalized assistance and will tailor his legal services to your specific needs. Attorney Yang will go over the details of your case and determine the best strategy for your defense. You'll feel much more at ease having a knowledgeable attorney handle your case. Call MY Law Office for an appointment.